Previously seen or started is not allowed. Any type, but must be 15 or more minutes in total. 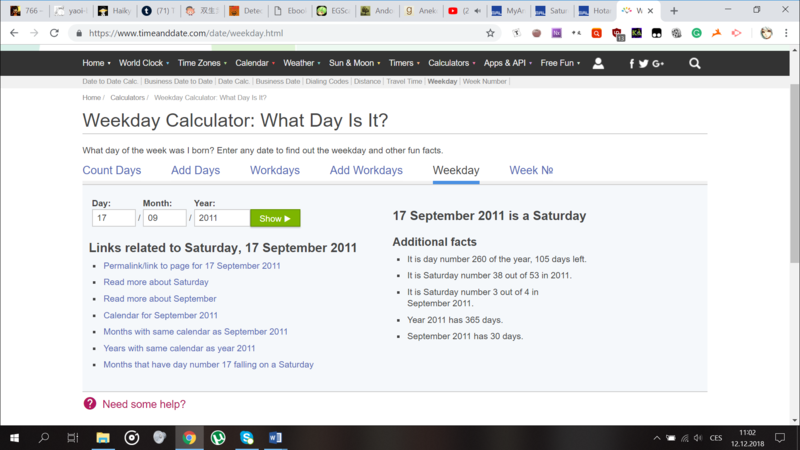 MAL must say the series was broadcasted on that day of the week. For movies, OVAs, etc. 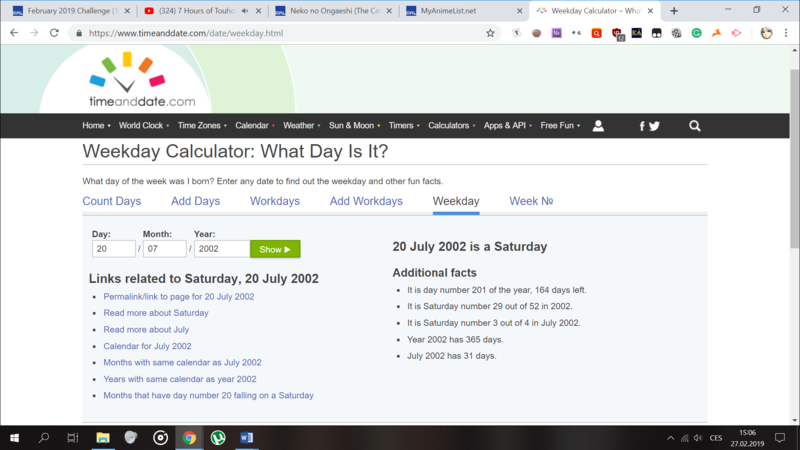 you can find what day the anime aired by using your computer's calendar (if this confuses you, then don't use). For Unknown (??? ), MAL must actually say "Unknown" - it cannot be just an aired year as this will not count. If the specific aired date is listed but broadcast still says unknown, you may use whatever day the first episodes was released on (according to MAL's Aired information). Challenges can be completed a total of 3 times each. Must finish previous challenge before starting the next (aka you can't be working on two Monday challenges. One must be completed first before you start the second). [✓] Dakaretai Otoko 1-i ni Odosarete Imasu. [X] Beelzebub: Hirotta Akachan wa Daimaou!? [X] Pokemon: Kimi ni Kimeta! -Cannot use previously seen and/or started. 4. Itsudatte Bokura no Koi wa 10 cm Datta. [X] Dakaretai Otoko 1-i ni Odosarete Imasu. [O] Dakaretai Otoko 1-i ni Odosarete Imasu. [X] Itsudatte Bokura no Koi wa 10 cm Datta. 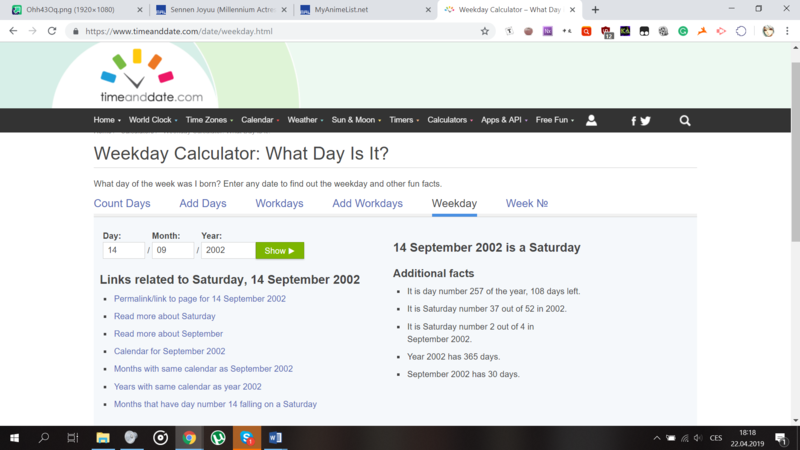 MAL must say the series was broadcasted on that day of the week. For movies, OVAs, etc. 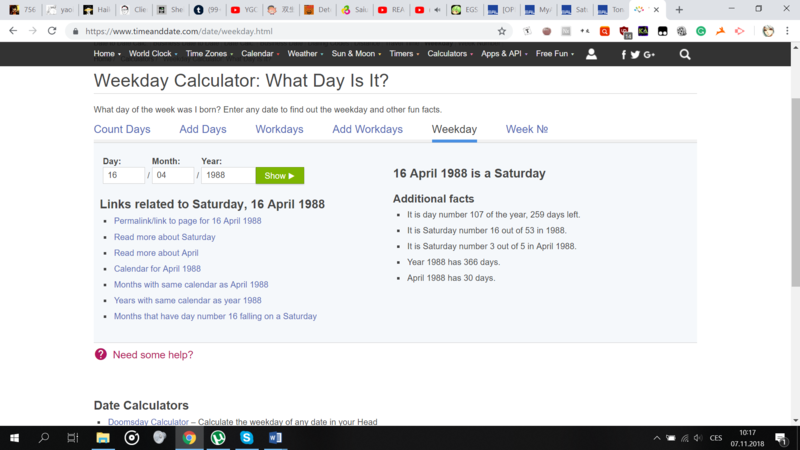 you can find what day the anime aired by using your computer's calendar (if this confuses you, then don't use). Challenges can be completed a total of 3 times each. Must finish previous challenge before starting the next (aka you can't be working on two Monday challenges. One must be completed first before you start the ssecond). » Any type is allowed, but must be 15+ minutes total.